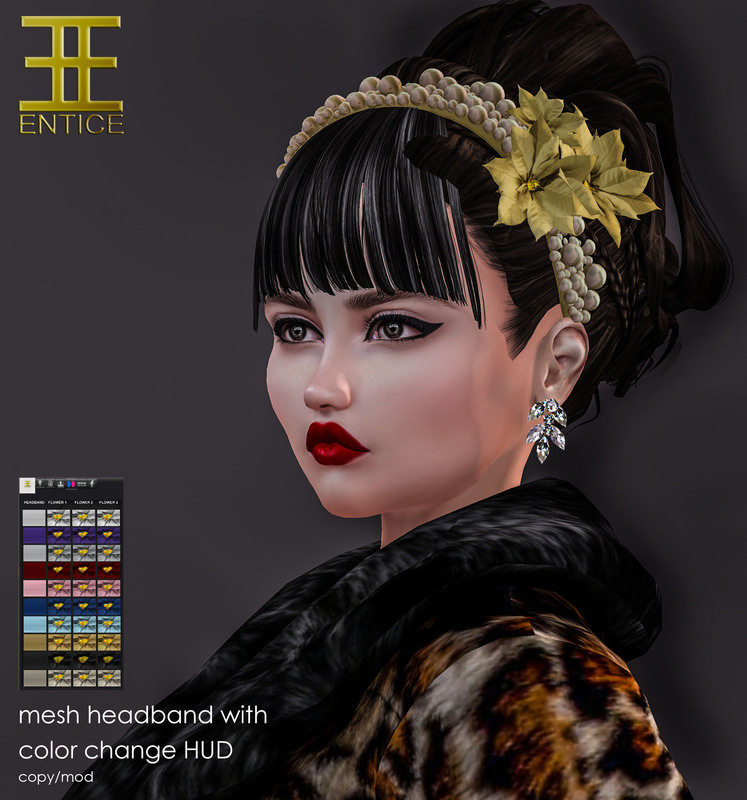 Entice is back at The Trunk Show event with the “My Way” coat, skirt and headband. The coat comes in Maitreya, Slink (Physique, Hourglass), Belleza (Freya, Isis, Venus). TMP and Classic Fitmesh sizes while the skirt comes in Maitreya, Slink Hourglass and Belleza Freya sizes. The jacket is sold in eight individual colors or in a fatpack of fourteen and the skirt comes in eight individual colors as well with a fatpack of ten colors. The matching headband is sold in a fatpack only with a HUD that allows you to change the color of the headband, Flower 1, Flower 2 and Flower 3 independently! http://entice.fashion/wp-content/uploads/2017/08/The-Trunk-Show-Final.png 1024 1024 Jolene http://entice.fashion/wp-content/uploads/2016/11/NEW-ENTICE-LOGO-Header-3.png Jolene2017-12-19 17:21:152017-12-19 17:21:15Entice @ The Trunk Show! Entice @ The Cosmopolitan Room (December) Entice Advent Calendar – December 21st!